We claim to love lots of things in life. We say we “love” French fries, football, the beach, and even celebrities. Because of the casual way we use this word, its impact is often lost. We need a more effective way to understand love, especially when it comes to the love Yahweh has for us. The closest many will come to understanding the love God has for us is experiencing the love they have for their children. Even still, our love for our children does not compare with the love of Yahweh our Father toward us. 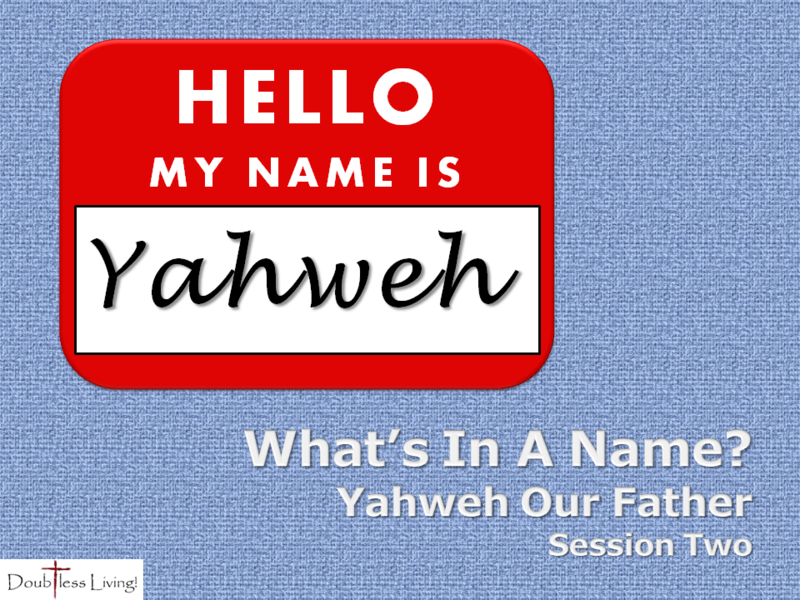 In session 1 of this five part series, we focused on God’s personal name, Yahweh, which communicates His sovereignty and power as a faithful covenant keeper. Today, in session two, our focus will be on Yahweh as Father and we shall see that His love for us is undeserved, unequaled, and unceasing. Click here to learn more about this exciting new Bible study series or follow this link to dive right in to session two.